Lord High Everything Else of the Sugar Land Ukulele Manufacturing Company (Slumco). We've got a little list. 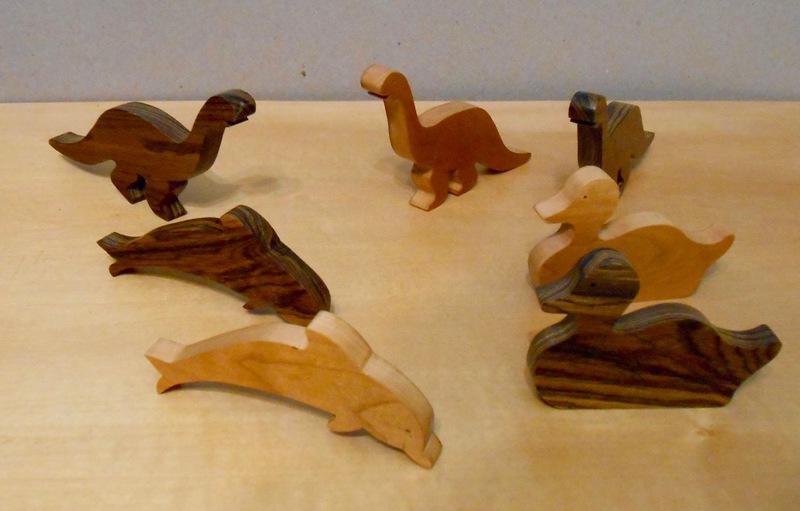 Sure, it’s possible to cut out your body shape with a handheld jigsaw. But it might not look too great. Or be quite square. 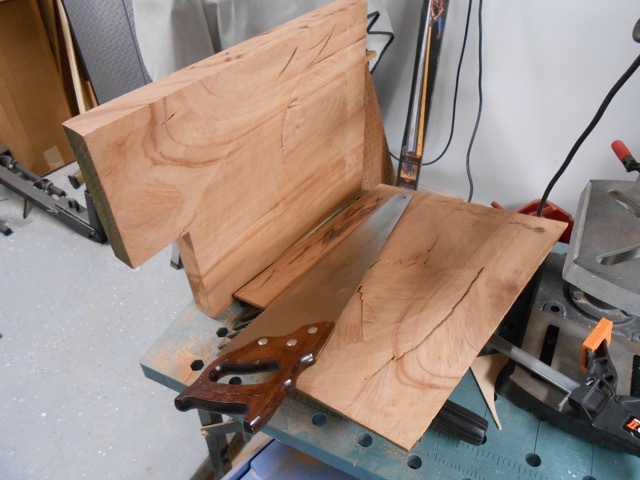 Jigsaw blades aren’t that rigid, especially when you try to make them turn. Router and template will be used to fix all that. Here’s the neck with position markers (MOP dots) inlaid. Not contoured, but the outline is done. The blue tape is where there was some tearout; it’s to hold the patch in place until I glue it. The brown tape is just a place to write notes. 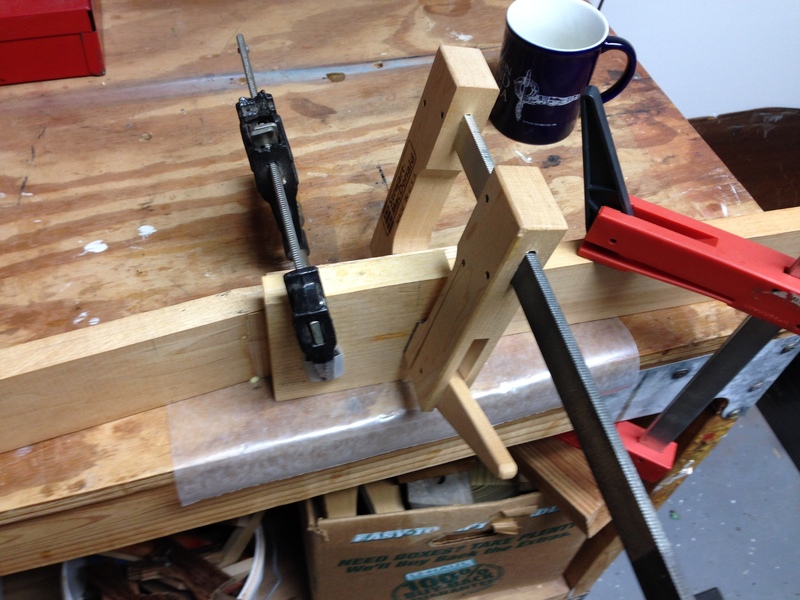 Just out of frame is my 4th version of the headstock template, which is what I ended up using. In case you needed more confirmation, the masking tape trick really works. I used it to shape the outline of the neck. 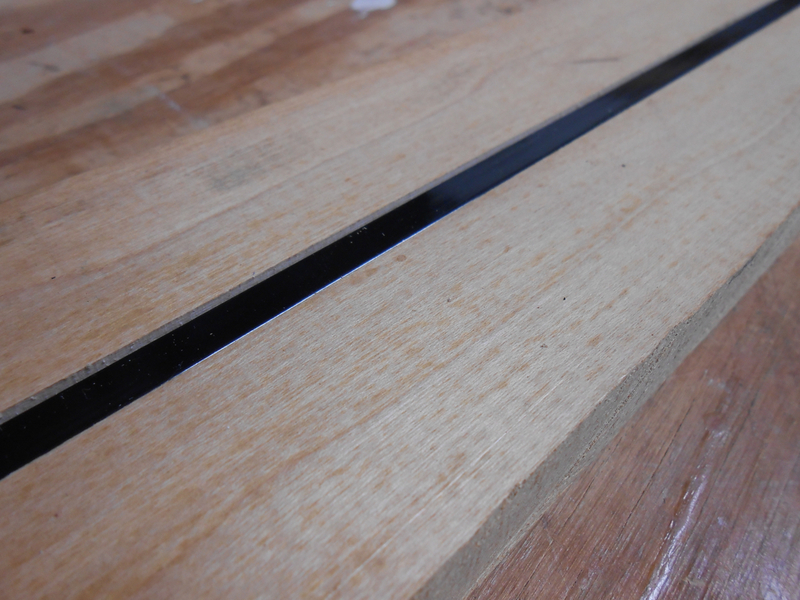 Rout, using a template (flush-cutting) bit. Not aligned like it’s shown here; this is after the routing was done. Peel it apart and remove the tape. 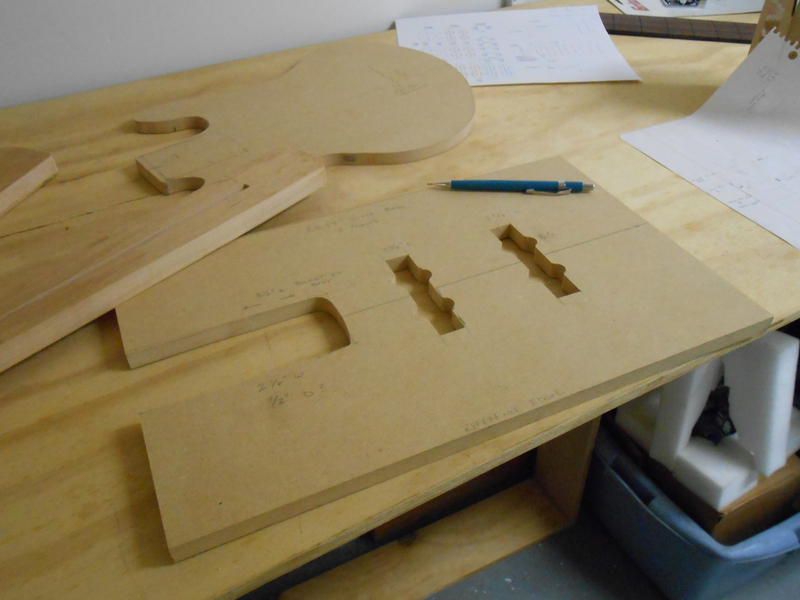 Not using masking tape, I also cut a template for the neck pocket and pickup routing on the body. Material is 1/2″ MDF. Here’s another shot of the neck. This is what a Saf-T-Planer leaves on the back of the headstock when you thin it. Not bad. No blood. Once upon a time there was a girl named Goldilocks who was making a short-scale electric bass. (Because she was cheap, and stubborn, and didn’t want to buy an Ibanez for $179, which is really quite reasonable, when she could make one herself that would be half as good and twice as expensive.) She had already glued up her body blank and cut it to rough dimensions. Her bolt-on neck blank had the truss rod slot routed but she needed to to design the headstock, which was a 2-on-a-side angled design similar to a Gibson. So she got her paper, pencils, and rulers and drew out a headstock based on tenor ukuleles she’d done, paying special attention to the path the A and D strings take from the tuner to the nut, so they don’t rub against the outer tuners. “This headstock looks too small,” she said. “And I think the tuning keys may interfere with each other and make it more difficult to adjust, which is an ergonomic problem we wish to avoid.” And anyway, she misplaced the paper template. And how did my foot get in the frame? So she drew another one, using her original tuner location layout as a starting point, but lengthening and widening it. She even cut a template out of 1/4″ tempered hardboard, which most people call Masonite, even if it’s made by a different company. Then she drilled the tuner holes with a 1/2″ Forstner bit. “This template looks disproportionately wide for its length,” she complained. “I’ll have to add ears to the side of my neck blank to get the width. 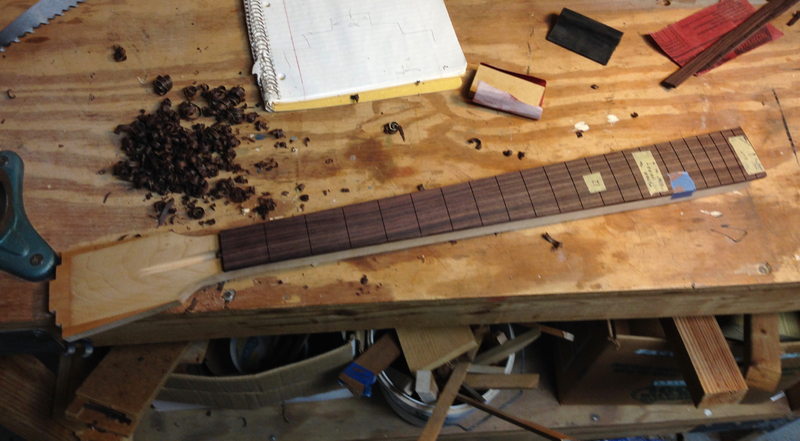 I also think it’s too large for a short-scale instrument, especially if I use a 1-1/2″ nut width. 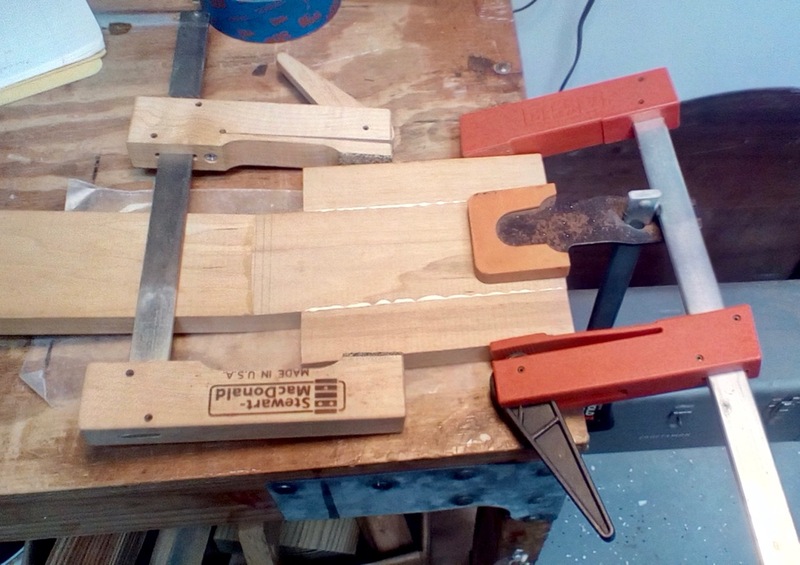 And I’m concerned that there isn’t enough wood between the E and G tuners and the outside edge of the headstock, because I made the taper too long.” And she realized that because she’d drilled 1/2″ tuner holes, it would be harder to locate the centers for drilling the actual holes in the headstock anyway. My foot really isn’t that small. It just looks that way because of perspective. 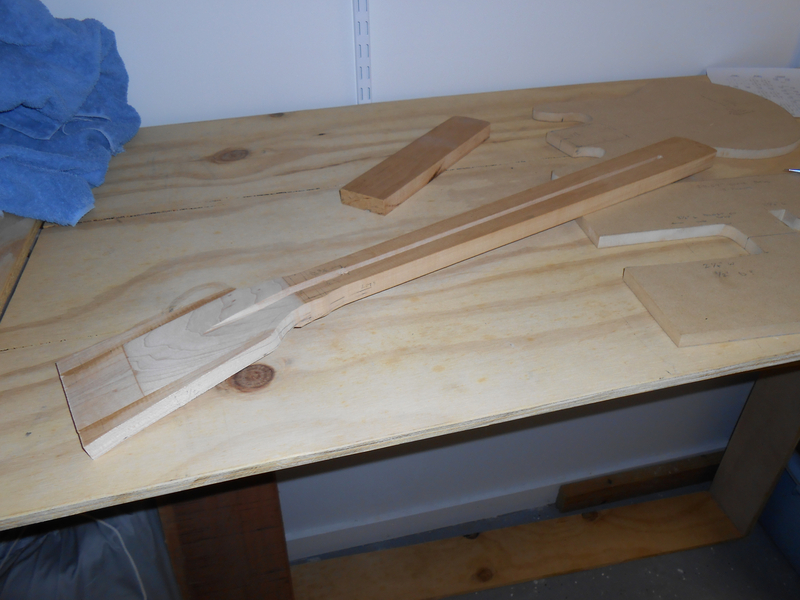 Routed the truss rod slot for the bass. 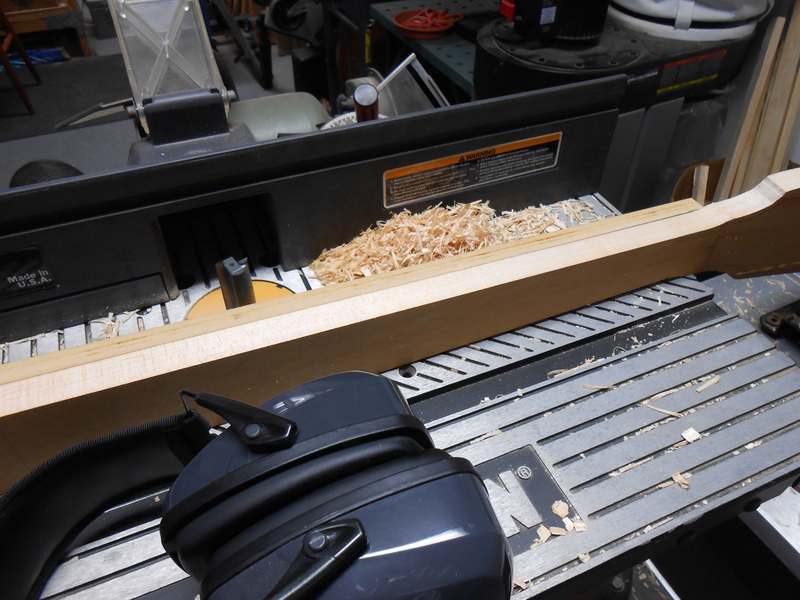 1/4″ wide by 3/8″ deep, and all I did was use a straight bit in the router table. Took 4 or 5 passes and came out pretty clean. 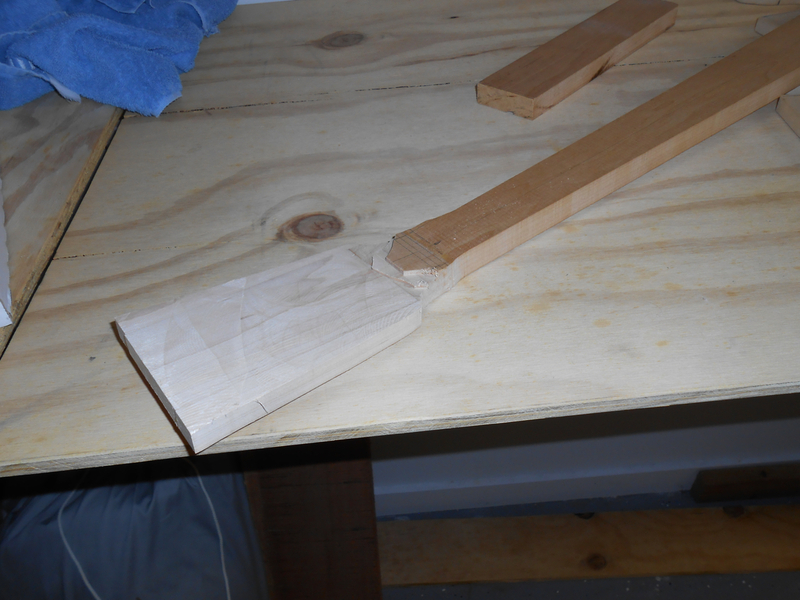 I squared up the body end with a chisel but didn’t take a close-up photo. It’ll be hidden anyway. It’s just a bit deeper than it needs to be – maybe 1/32″. 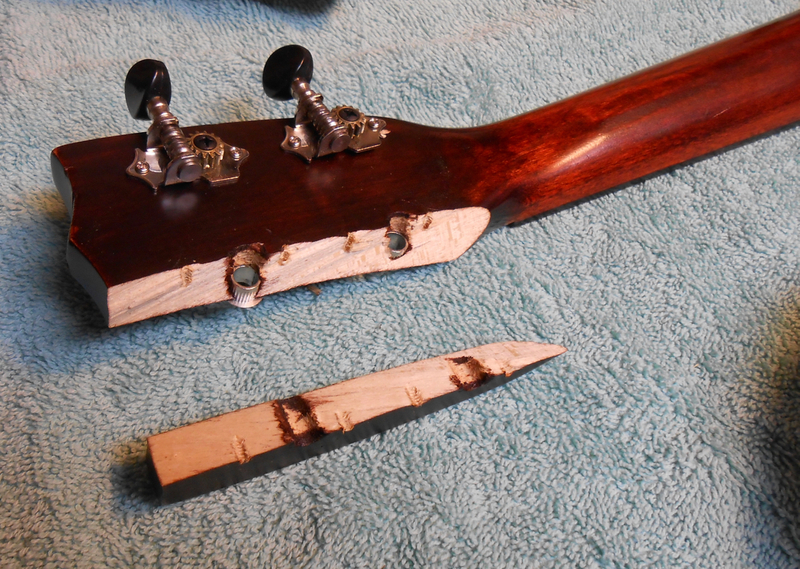 I still need to widen the headstock end for the adjustment nut. Not sure whether I want to use a 3/8″ round-nose router bit, or a round file and do it by hand. On a side note, it seems that Rocksmith 2014 is a lot pickier about intonation than I am. I know I’m 10 cents sharp at the 17th fret or so, but that’s enough for the software to detect it as a wrong note. So I’m starting to work on correcting it – note the lack of a spring on the low E string above. 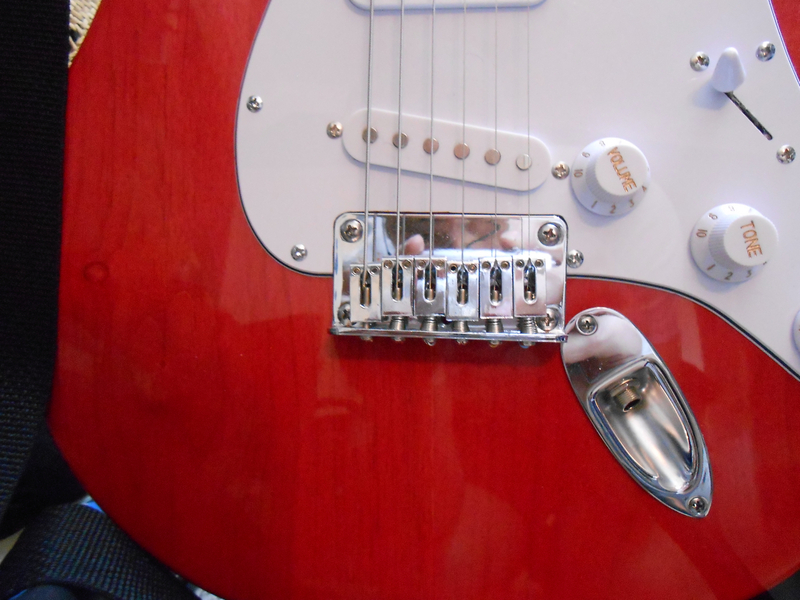 Yeah, the real fix is to move the bridge back about a half-inch, but that would mean a new pick guard, and you’ll notice that the output jack is in the way. This was built during a class, and the real lesson is to make sure everything fits the way you want it before cutting holes. Also, check to see that they didn’t send you a Mustang neck instead of a Strat neck by mistake. This uke came to me with a broken headstock from being dropped. This is a Gretsch concert ukulele, although the body looks soprano-sized. The label says 9100-L, which the interwebz tell me is a long-neck soprano. Hand resawing. Possible but not recommended. That took what seemed like forever. Not the greatest job; here’s where I had some blade wandering. This may need the Saf-T-Planer to clean it up. And here’s the piece that was cut off. I’ll use it to make a control cavity cover. At least that’s the plan. RSS Feeds. Does anyone still use them?